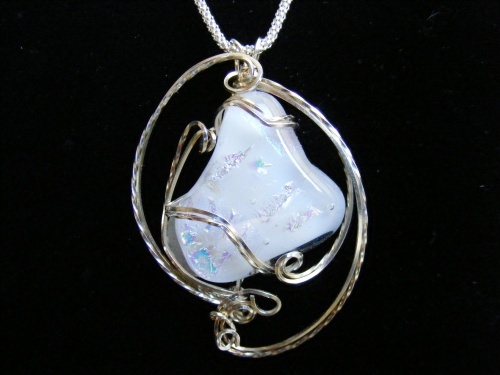 Dichroic white opalesque piece, wrapped in sterling silver. Has to be seen! Truly elegant! Piece measures 1 3/4" from top of bail to bottom. Chain not included.